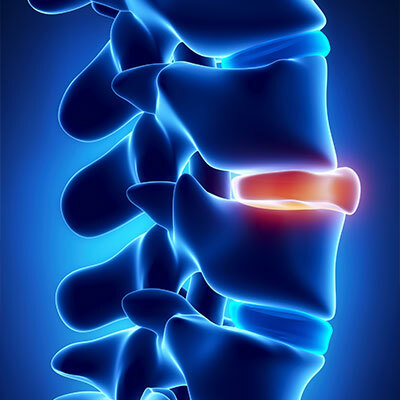 Spinal discs are soft tissues between vertebrae that act as shock absorbers for the spine. Although there is not much chance for these firmly-placed discs to move between vertebrae, a slipped disc occurs when the disc bulges and herniates, which causes a tremendous amount of pain in the back. When a slipped disc happens, it releases a substance that causes the surrounding nerves and muscles to swell and become irritated, pushing painful symptoms out to other parts of the body. Slipped discs can be closely related to poor disc health, which can be caused by poor posture, lack of exercise, and inadequate nutrition. Mild cases of slipped disc may be treated by simply stretching and exercise. Advanced cases may require other types of treatments, including decompression and other extensive procedures. However, before considering surgery, visit Zemella Chiropractic and consult with Dr. Paul Zemella, DC to see if chiropractic care can help you recover from your slipped disc. Chiropractic care has helped thousands of people recover from slipped disc symptoms and pain by helping them relieve pressure on the nerves and allowing the body to heal naturally. To learn more about how chiropractic care can help you recover from a slipped disc, call Zemella Chiropractic in Santa Barbara at (805) 324-6500 to schedule an appointment with Dr. Paul Zemella, DC today.